One thing I do miss about living in Pennsylvania is the change in seasons. Now, I surely don’t miss the snow, but I do love everything that comes along with it. Cozy sweaters, fireplaces lit up and glowing, and all of the fun activities that you can plan for the season. February is one of my favorite months to teach. 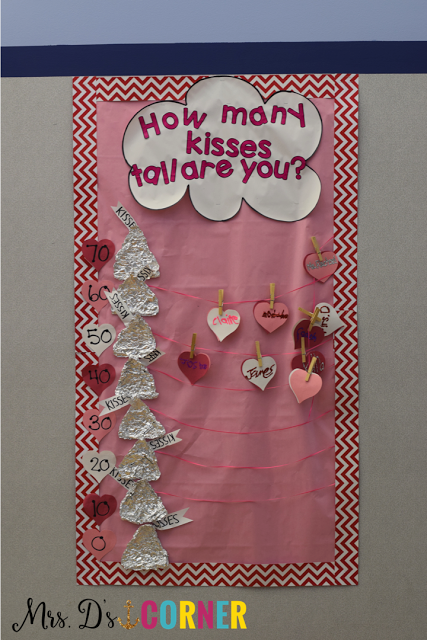 So I have a really amazing para in my classroom who made this super adorable Valentine’s Day bulletin board for our class this year. This interactive bulletin board is the end result of a classroom graphing activity we did during math. 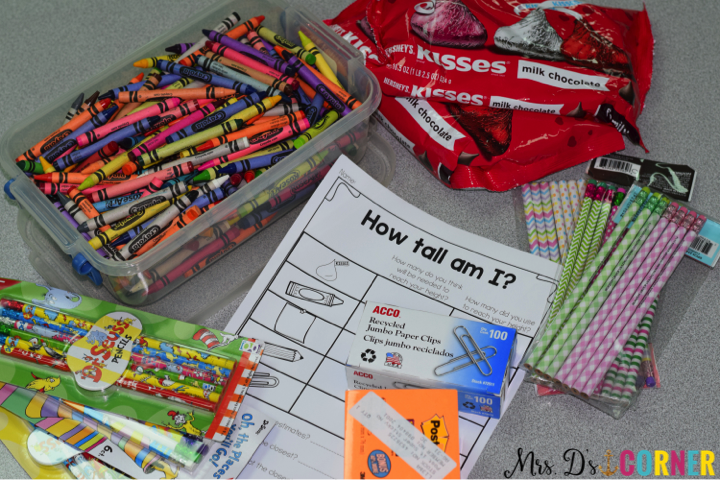 We did a really fun estimating and measuring activity with non-standard units of measure. 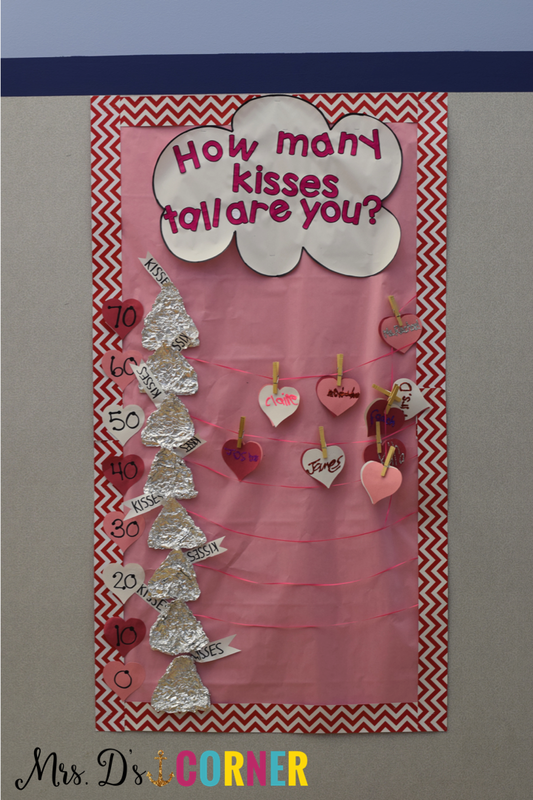 …and then we made the bulletin board graph of how tall each of us is based on the data we got during the lesson. To perform the lesson, we paired up 2-3 students per adult in the classroom. Students take turns laying on the floor while another student lines up the non-standard units of measure in a straight line to measure how tall they are in that item. Not only was it a hands-on counting activity that the kids really enjoyed, we were writing numbers, practicing our counting and 1:1 correspondence (some of us got up to 70! ), working as a team, sharing materials, talking about more or less than, laying still 😉 … I mean, it really encompassed A LOT of skill work. BUT it was a lot of fun and the kids really enjoyed it… then we ate a few Hershey kisses for doing a good job. 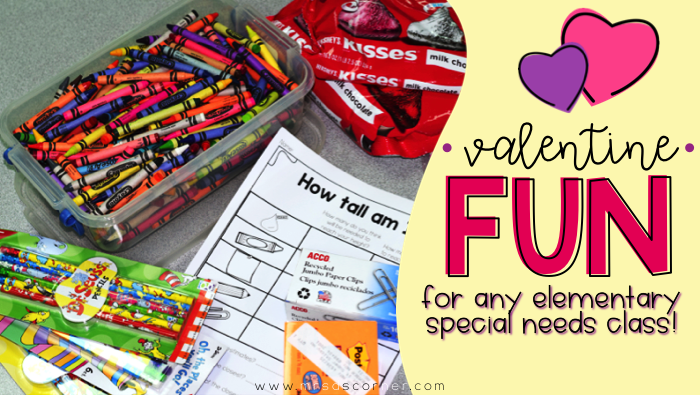 All you, as the teacher, need to do to prep this craftivity is edit the free heart template to add your student’s names (one name per heart) and print on colored paper. It’s a great fine motor activity, having them draw puzzle lines between the letters of their name and then cutting the puzzle pieces out. Once they glue their puzzles down on construction paper, you can even let them get a little crazy with glitter or glitter glue. Yep, glitter! 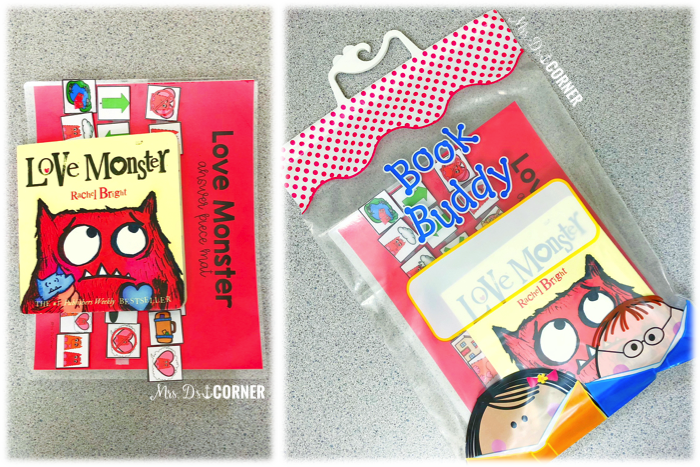 Adapted Piece Book Sets are fantastic in helping you instill a love of reading, modeling fluency, and introducing new genres of stories to your students. For some of our students, reading anything is overwhelming and may cause distress. As teachers, we need to do our part in making all books accessible to all of our learners. 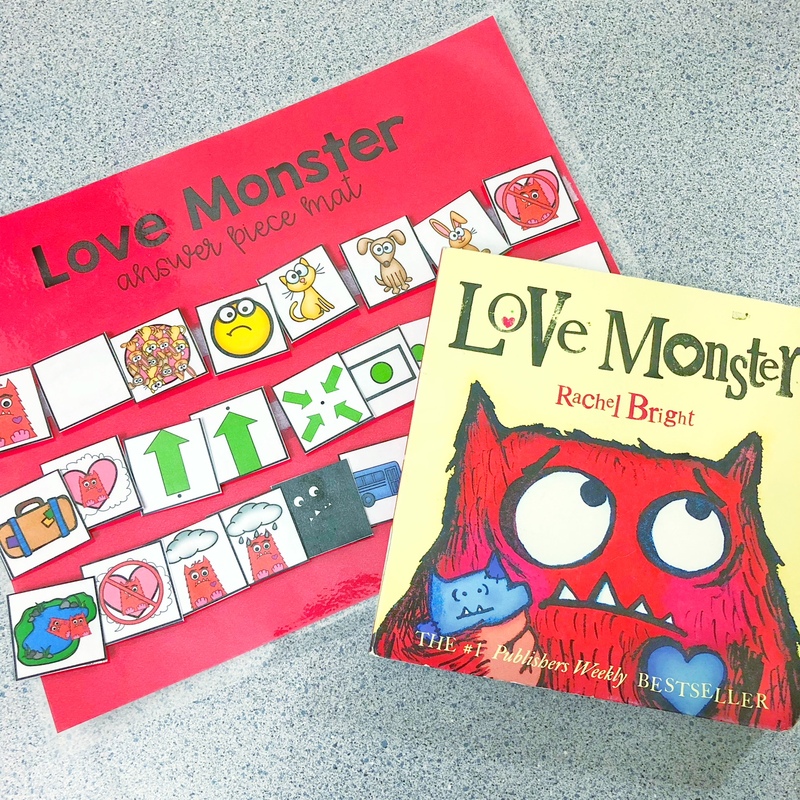 Adapted Piece Book Sets are great for keeping students on task and following along during a read-aloud, answering WH comprehension questions, sequencing the parts of a story, and so much more! You can learn about adapting books you already love here. Older students can use the adapted stories during buddy reading with younger-aged students, too. At the end of the day, store the answer mat for the story inside the book (ya know, so you don’t have to search for it next year). 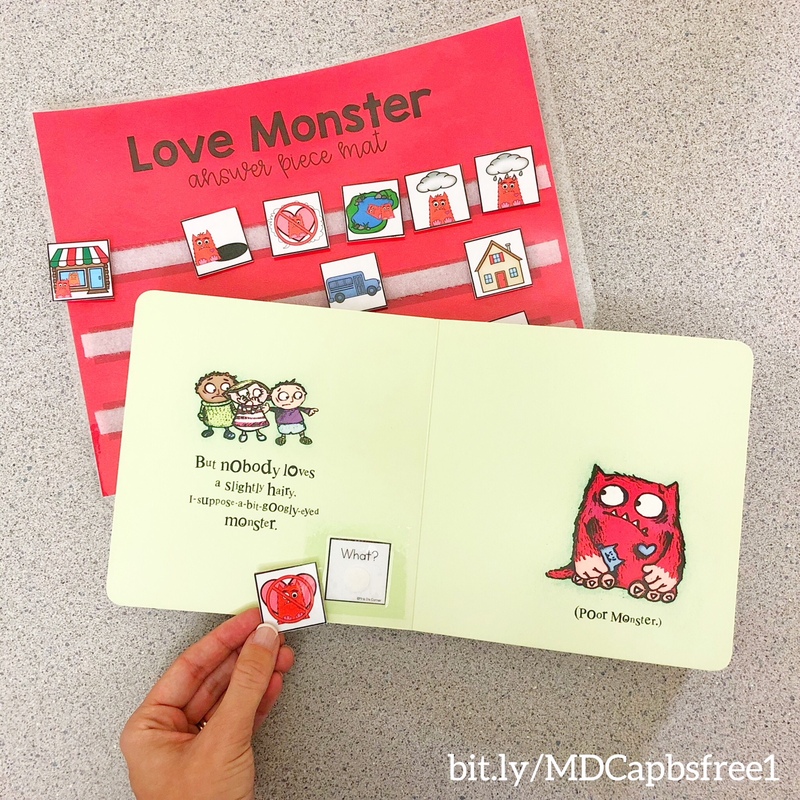 I like to send the adapted stories home in Reading Toolkits, so parents have an opportunity to read and engage in stories with their children too. 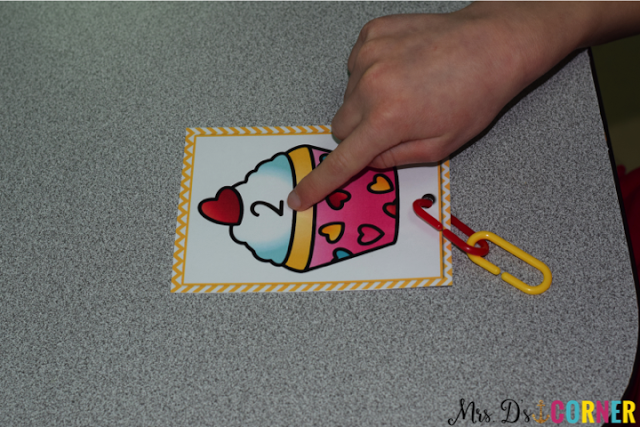 One of our work task boxes has this really fun link-N-learn activity (those links are always a huge hit with my students!) for Valentine’s Day too. The numbers go to 30 and there are a few different sets of cards. I store the cards and about 50 links in a plastic container. Fun Food Friday. Visual Recipes. Food. Cheesecake. Strawberries. Social Skills. I LOVE FRIDAY’S in my classroom. 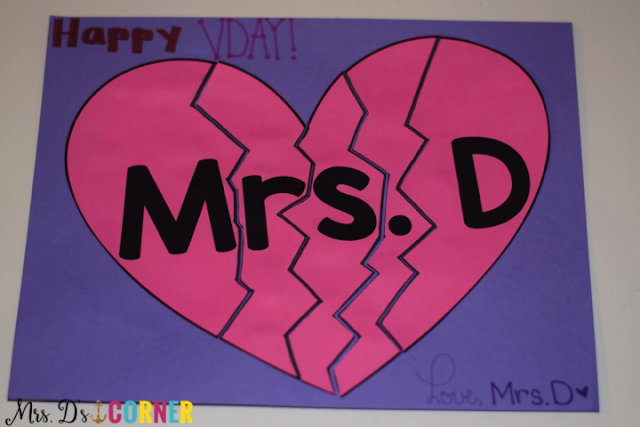 Every year for Valentine’s Day, our school has class Valentine’s Day parties. Class parties only happen 3 times a year, so I try really hard to make it special for my friends and their parents. And this year, the Valentine’s Day Party just so happens to fall on a Friday. Here are some tips for planning a Valentine’s party. 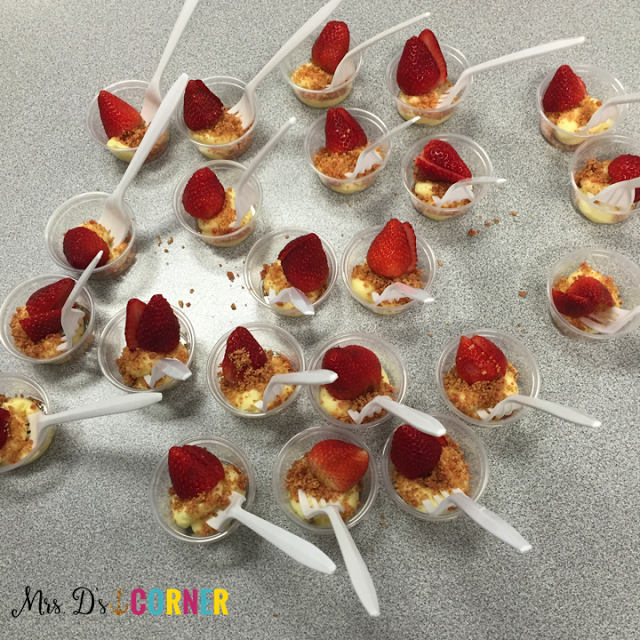 So every Friday we attempt to cook a no bake recipe in our classroom. Last year, we made no bake cheesecake, cut up some fresh strawberries, and dug in! 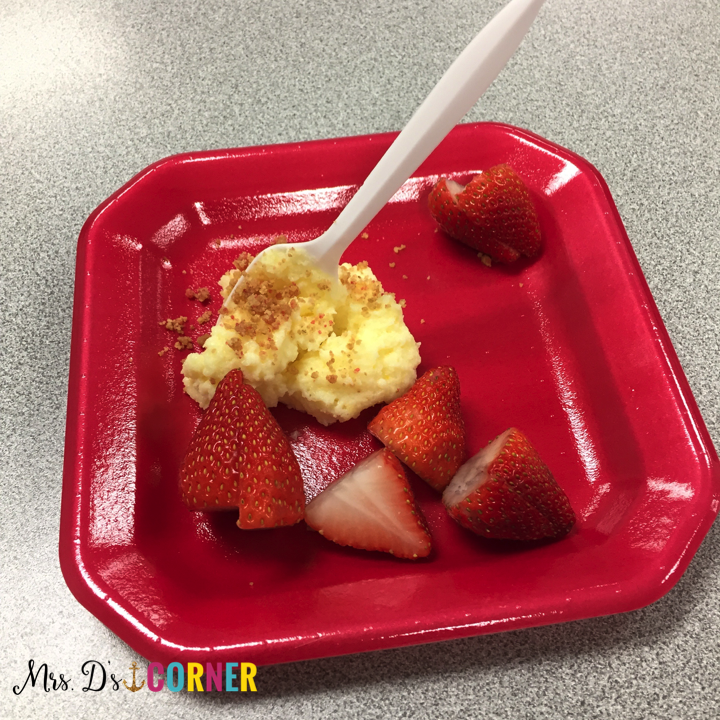 We always make A LOT of food (hey, there’s only 10 of us in the classroom total), so we use this opportunity to practice our social skills… and feed teachers and staff in the building. We grab our communication rings and off we go. Last year, we even made chocolate covered strawberries for our parents as a Valentine’s gift. 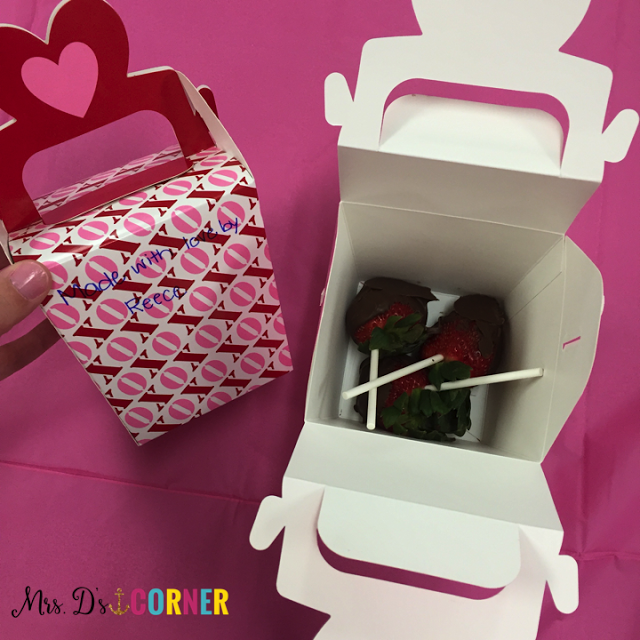 I mean, who doesn’t love strawberries covered in chocolate… for free… that your kids made at school? 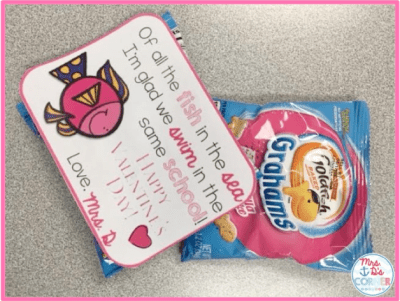 I like to give students a little gift too for Valentine’s Day. I try to stay away from candy, so I opt in for goldfish crackers or pretzels. You can grab this free Valentine’s Day Printable here. To help make February a favorite of yours too, my friends and I have put together a FREE e-Book just for you. It’s a great mix of activities that are easily differentiate-able for your students (grades K-2).